I have to admit, it was hard to get into this book. I have tried to read it twice before and ended up skimming both times. Star Maker was written in the 1930s and the language is often dry and difficult, and there is very little plot. This is definitely a work of science fiction, but more than anything it is a travel log of a disembodied consciousness’s journey through the cosmos. A majority of the “story” consists of long-winded descriptions of planets and species. These planets are bizarre, yet well-thought out. And although I said there is little plot, there is definitely a progression to the book that lead me to a very rewarding experience I completely missed out on when skimming it before. Now what makes me give this book five stars? It is mind-blowingly brilliant. It continually made me feel like I was learning things I shouldn’t know, like I was being let in on secrets of the universe that are typically invisible. I haven’t read anything like this in a long, long time. 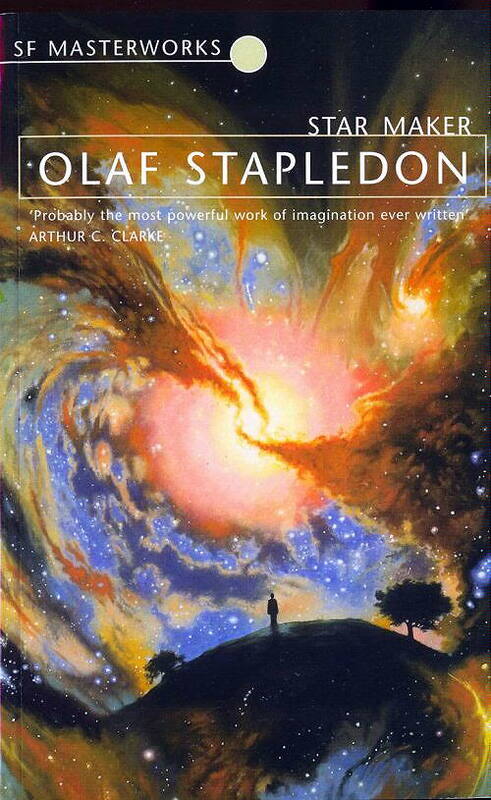 Star Maker is not a perfect book, and it is very challenging, but it is one of the greatest works of science fiction ever written, and it awoke a curiosity in me that I haven’t known since childhood, making me ask why, why, why? If you want to enjoy this book, don’t come to it expecting a fast plot or an easy read. Come ready to challenge your perspective of the universe and ask questions you forgot you needed to answer.